Words. I'd say they're an awfully important tool for writers. And a big thanks to Shakespeare for inventing over 1700 of them. He took certain words, added prefixes, suffixes; made nouns into verbs, verbs into adjectives, and just plain came up with original ones. Without Will's wordsmithing, thriller writers wouldn't know what coldblooded, premeditated, and bloodstained meant. Words form sentences, that lead to paragraphs, that create a scene, that give our characters a voice, that make us smile, laugh or cry. They're powerful, those words. And it's not about using big ones where readers need a dictionary to decipher the story . . . size doesn't matter; it's all about how we use them; how we finagle, twist, turn, mold, and manipulate them. It’s about how we string them together to paint a picture. Words are an artist’s paints. Some get muddy when mixed together, while others can blend and swirl together to create a beautiful picture in the reader’s mind. Artists choose their colors carefully, so why wouldn’t writers choose their words carefully? I'm not much of a wordsmith, which is why I keep a thesaurus handy. But one of the most helpful word-repertoire enhancing tools has come from things I read. Novels, essays, newspapers, etc. When I come across an interesting word—typically one I don’t use often—I jot it down in my word journal. Sometimes it’s a turn of phrase that catches my attention. I won’t steal it, of course, but it does help inspire me to think along those lines. I try to keep my word journal nearby while reading in case something catches my writer eye. 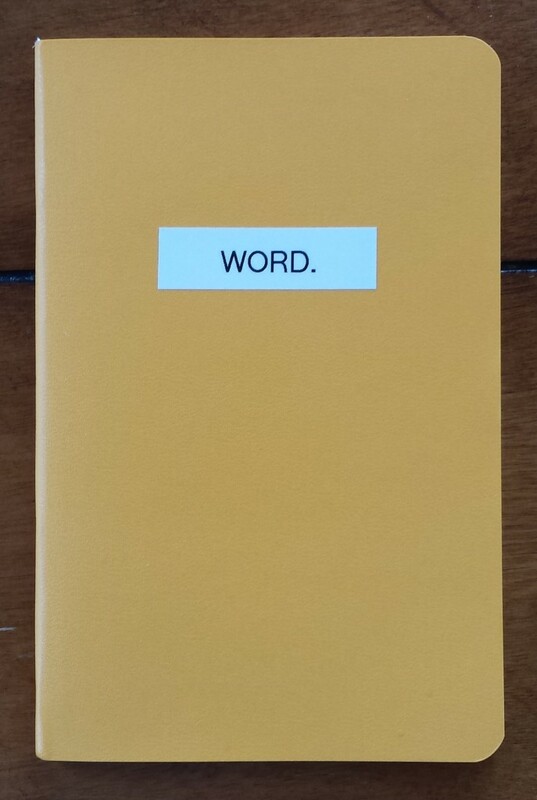 When I'm writing, I often consult my word journal which usually urges me to think outside the vocabulary box. Words have much more potential than we give them credit for. Use them in unconventional ways and think about nouns that can be used as verbs, too. For example: "Time colored his memories . . ."
As writers, we often spend a lot of time focusing on grammar, or pacing, or character development. But taking the time to play with words is just as important. So jot them down, play around, and see what you can come up with. For great examples of this, I recommend reading books by Ivan Doig---he had a way with words: "In short, not much ever functioned on the Herber place, except gravity." 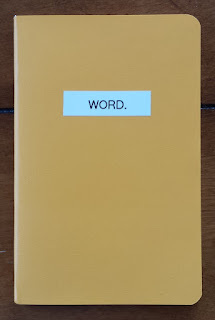 Do you keep a word journal? And who are some of your favorite wordsmithing authors?